Employee Spotlight: Jeremy Dilmore, P.E. The new E.E. Williamson Road overpass will feature a sidewalk on the north side of the road, a trail on the south side of the road, two bike lanes and a traffic separator in the middle. The Florida Department of Transportation (FDOT) announced January 18 the timeline for advertising nearly $32 million of work along Interstate 4 (I-4) in Seminole County. The announcement came during a presentation at the Florida Transportation Builders Association annual conference in Orlando. FDOT plans to advertise later this year for contractors to work on two construction contracts on I-4. The first contract includes the milling and resurfacing of eastbound I-4 from Lake Mary Boulevard to County Road (C.R.) 46A and from State Road (S.R.) 46 to the Seminole-Volusia county line to extend the life of the pavement. FDOT is scheduled to hire a contractor in April. The second contract includes replacement of the E.E. Williamson Road bridge, adding an eastbound I-4 auxiliary lane and milling resurfacing eastbound I-4 lanes. The new E.E. 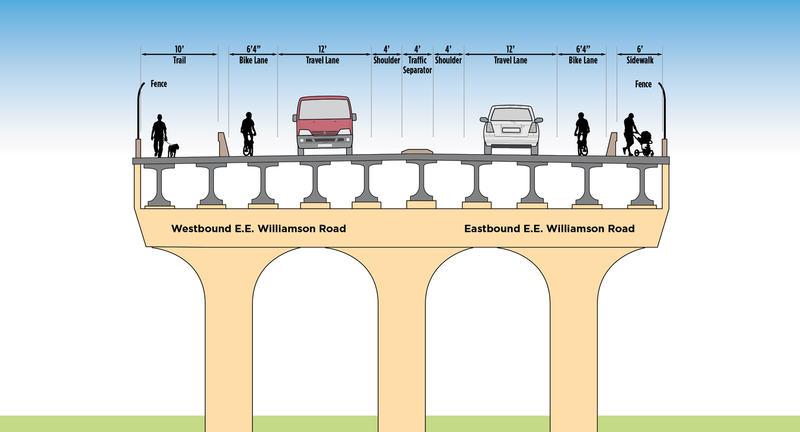 Williamson Road bridge will be wider and includes better access for bicyclists and pedestrians. The bridge will tie in with Seminole County’s E.E. Williamson Road Trail Connector. The new eastbound I-4 auxiliary lane from the end of the I-4 Ultimate project to Lake Mary Boulevard will be built to improve the flow of traffic in the area. FDOT is scheduled to hire a contractor in May. Work on both projects is expected to begin sometime this summer. More information on these projects is available at https://i4beyond.com/Seminole. Although motorists traveling on Interstate 4 (I-4) stay focused on the traffic and road conditions around them, a great deal of what keeps the pavement stable, level, and dependable actually takes place below. Beneath the surface, conditions must be right and meet mandated safety standards to ensure the road does not shift and that all engineering precautions have been taken to minimize the chance of flooding and washouts. That requires a precise, scientific understanding of the stability and compressibility of the soil below the road and a knowledge of how and at what rates rainwater will flow on the surface and underground. It also requires the engineering skill to maintain the safety of the road and the cleanliness of the stormwater that will eventually find its way into nearby streams and ponds. Ponds are important to a good interstate. The Florida Department of Transportation (FDOT) often must build new ones to collect and filter the stormwater that runs off the roadway. They also may need to shape the ground to allow that water to flow toward drainage pipes and ponds. 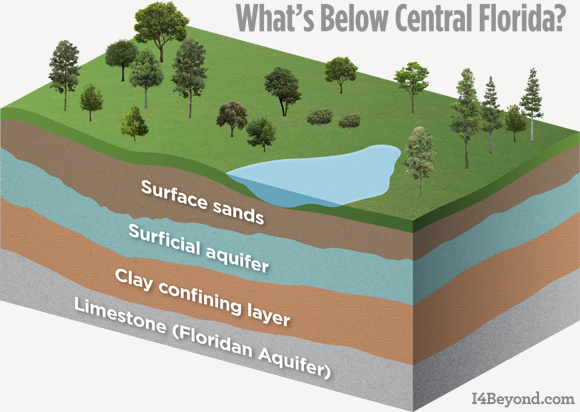 But before construction of ponds and swales (sloped areas that direct the flow of water) can begin, FDOT requires a preliminary geotechnical engineering investigation at each site as part of the legally required Project Development and Environment (PD&E) Study. Licensed geotechnical and environmental consultants analyzed the proposed pond and swale sites in each of the six I-4 Beyond the Ultimate design segments that consist of 40 miles of the interstate. Reviewing depths of soils and seasonal groundwater. Assessing the risk of depressions by studying the area’s soil, rocks and water flow. Taking at least two below-the-surface borings to evaluate soil and groundwater. Testing the permeability of the soil. The geotechnical engineering reports also aid in selecting roadway alignments and assessing preliminary construction costs. After decisions have been made on roadway alignment, the typical roadway section and the locations of stormwater retention ponds and swales, then final geotechnical engineering evaluations will be done for each design segment. The Preliminary Geotechnical Engineering Investigation for Ponds Reports for all of the I-4 Beyond the Ultimate design segments are available at i4beyond.com/pde. The different layers of the interstate is illustrated on this artist's rendering of the westbound I-4 typical section from U.S. Highway 27 to the Beachline Expressway (State Road 528). Roads and highways often are seen as simply a strip of asphalt. In reality, that strip of asphalt and what lies underneath are part of a more complicated, multilayered structure that is engineered for durability, longevity, and safety. The top surface of a road is called the friction course, traction for vehicles. It is normally about a three-quarter inch thick and must withstand the effects of weather, including rain and changes in temperature. The friction course lies on top of the structural course, which bears the weight of the cars, buses, and trucks moving along the roadway. 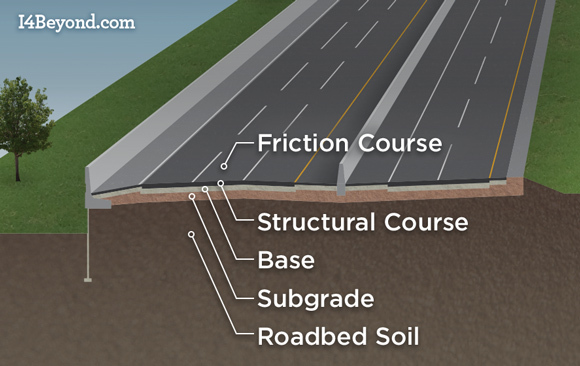 A subbase course is used under the structural course to provide additional stability to the roadway and to prevent groundwater from seeping upward into the pavement. Below that is the subgrade layer, which is typically the existing ground on which the roadway is built. Sometimes extra dirt is brought in to fill holes and depressions. The prepared subgrade layer is typically 12 inches deep, and usually has been packed and leveled by heavy machinery to eliminate any empty spaces directly below it. Currently in Volusia County, FDOT is resurfacing approximately 4 miles of Interstate 4 (I-4) from west of Saxon Boulevard to east of State Road (S.R.) 472. In Seminole County, later this year, FDOT will be resurfacing eastbound I-4 from west of Lake Mary Boulevard to County Road 46A, S.R. 46 to the Volusia County line, and from the end of I-4 Ultimate to Lake Mary Boulevard. While engineers, construction crews and safety officers prepare for the upcoming work on I-4 Beyond the Ultimate, Jeremy Dilmore makes sure that the many information-technology facets of the new corridor will be ready as well. 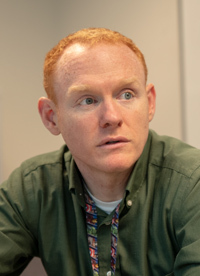 In his role as the Transportation Systems Management and Operation Program Engineer for the Florida Department of Transportation (FDOT), Dilmore’s duties range from traffic signal timing at intersections near the interstate to ensuring the proper infrastructure is in place to support automated and connected vehicles in the future. And Dilmore knows as well as anyone how quickly and with what force the future can arrive. Having grown up in Apopka and Lake Mary and having earned two engineering degrees from the University of Central Florida (a bachelor’s in mechanical and a master’s in civil), he has witnessed firsthand the vast growth of the region. Indeed, planning for the future seems to be in his DNA. His father had been a planner for Seminole County. And Jeremy recalls the cautionary tale his dad used to tell about how there was a time when many Seminole residents and officials just could not believe the planning models that called for widening State Road 436 from four lanes to six. Today, the heavily traveled road is eight lanes wide. In terms of future needs for the possibility of self-driving cars and connected vehicles that communicate with each other, Dilmore works on issues that include safety, security, privacy, electronic storage, and the connections between wireless signals and fiber optic cable. That means he stays busy because planning for the 40-mile project known as I-4 Beyond the Ultimate is just one of his duties. He also oversees many of those same operations for highways and state roads in District Five, which includes the nine counties of Orange, Osceola, Seminole, Volusia, Brevard, Flagler, Lake, Marion, and Sumter. His tasks include monitoring Traffic Incident Management, coordinating with first responders through the facilities of the Regional Traffic Management Center, and setting up guides to adjust signal timing during major incidents. In his spare time, Dilmore reads books about physics to stay informed and puts his engineering skills to work to entertain his wife (a Seminole County teacher), their daughter, and their friends by building a backyard zip line and a playset that can accommodate kids and adults at the same time.